A common childhood complaint that hints at depression and anxiety later on. 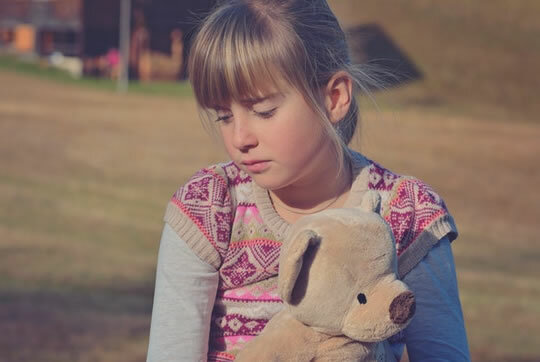 Stomach aches, nausea and other gut problems in childhood could indicate mental health problems later on, new research suggests. The study of children who were separated from their biological parents at a young age found they experienced more gut problems. Brain scans revealed that gut problems were also linked to abnormal activity in parts of the brain that process emotions. The finding raises the prospect that probiotics may help treat some people. The gut-brain link is underlined by the fact that over half of adults with irritable bowel syndrome have a history of trauma or abuse. This is twice the rate of those without childhood traumas. “One common reason children show up at doctors’ offices is intestinal complaints. The study included 115 adopted children and 229 children raised by their biological parents. The results showed that children with disrupted childhoods were more likely to suffer from constipation, stomach aches, nausea and vomiting. The researchers took a closer look at 8 children from each group, carrying out brain scans and gene sequencing. These demonstrated that those with disrupted childhoods had less diversity of bacteria in their gut. Brain scans showed that patterns of activity were also linked to the types of bacteria in their gut. “Animal studies tell us that dietary interventions and probiotics can manipulate the gut microbiome and ameliorate the effects of adversity on the central nervous system, especially during the first years of life when the developing brain and microbiome are more plastic. The study was published in the journal Development and Psychopathology (Callaghan et al., 2019).